For many years Rotronic products have been widely used in the monitoring and control of clean rooms, however more often than not our products are found out of sight quietly performing their measurement tasks away from areas with strict requirements for cleanliness demanded by modern clean rooms. In the past few months Rotronic have launched two new clean room panels that are as the name suggests designed specifically for use within clean room environments. Our flagship product in the field is the CRP5 which we will take a look at first. The CRP5 is a comprehensive clean room panel designed specifically for the requirements of modern clean rooms. Once installed the unit provides virtually no areas for dust to collect and the industrial glass front is extremely resistant to chemicals. With a fully configurable colour screen it is a stylish looking device! Differential Pressure via internal diaphragm sensor (measurement via rear ports and front ports for flexible instalation and calibration). Interchangeable humidity and temperature sensor. A unique feature of the CRP5 is the optional flush mount humidity probe. The probe is locked into place through the use of magnets and can easily be removed for cleaning or calibration. An optional rear mount connection is available for Rotronic HC2 humidity and temperature probes should you wish to monitor ducts or spaces remote to the CRP5 itself. The configurable colour display shows alarm conditions which can be acknowledged via the front panel. Alarms can be used to trigger relays associated with audible and larger visitual alarms. Interaction with the CRP5 is via four optical buttons – their use is completely unaffected if operators are wearing protective gloves or not (unlike capacitive interfaces). Optical buttons can be used easily even when wearing gloves! As an FDA and Gamp5 compliant device the CRP5 is a safe choice for regulated industries. The instrument can be used with 3rd party systems via its analogue outputs or industry standard Modbus TCP / RTU communication. Alternatively the CRP5 can be connected to the Rotronic HW4 software package to provide a one stop solution for monitoring, control and alarming. Pharmaceutical validation services as well as ISO 17025 (UKAS) calibrations are available from Rotronic if required. Next time we will look at the Rotronic CRP1 a dedicated temperature and humidity clean room panel for applications with slightly simpler requirements but still demanding a clean installation and high accuracy measurements! The CRP1 – Humidity and Temperature measurements in clean rooms. Pharmacy Business Case – MEDICINES NEED WATCHING – CLOSELY! Medicines are sensitive products. Moisture or excessively high or low storage temperatures, can impair their quality. Incorrectly stored medicines lose their efficacy, leading to significant health risks. Correct storage is therefore vital, offering as it does the guarantee that medicines remain safe and efficacious and retain their high quality right up to their expiry date. The storage of medicines is legally regulated by GDP (Good Distribution Practice) Standard 9.2 and is inspected by the responsible authorities on site. Insulins and other liquid antibiotics for instance must be stored in medicine refrigerators at a temperature between 2 °C and 8 °C. A temperature range of 15 °C to 25 °C applies to the vast majority of other medicines.It is compulsory to document the storage conditions of all medicines. To help fulfil the legal requirements, Rotronic has launched the new HL-1D data logger – a convenient, precise, reliable logger that is virtually tailor-made for a medicinal environment. pharmacy. With its simple handling and remarkable price-performance ratio, the logger offers great potential for any pharmacy. The Rosengarten Rotpunkt pharmacy is deeply rooted in the community of Bassersdorf, Switzerland and has been at its present location since 1985. 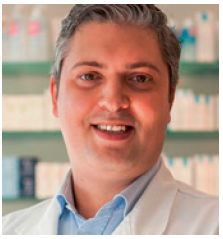 In 2011, Mr. Ivan Mihajlovic took over the directorship and today runs the pharmacy with a total of 10 employees. Rotronic offers complete solutions for the entire measurement chain. Even if you are already using other data loggers successfully, we have a range of innovative calibration solutions. If you require more information or wish to discuss any monitoring, control or calibration applications you may have please do not hesitate to contact us. Pharmaceutical tablet coating involves the application of a coating composition to a moving bed of tablets with the use of heated air to facilitate the evaporation of the solvent. Several different types of coating are typically used. 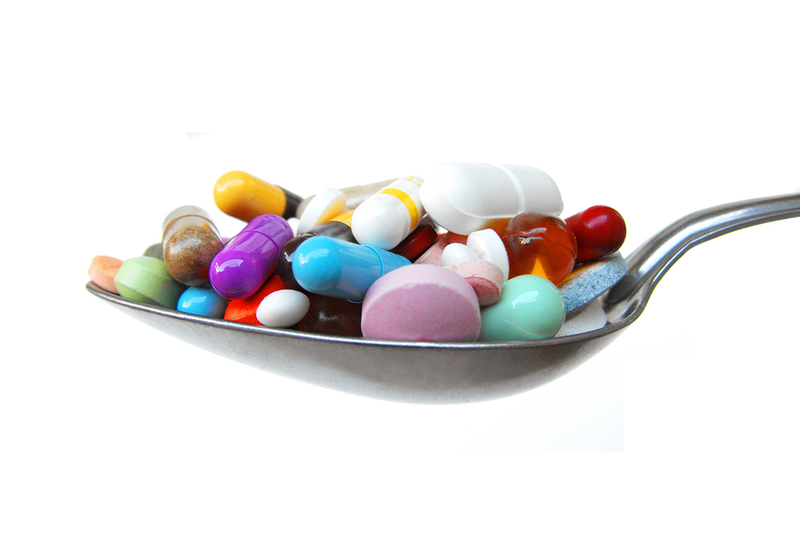 Sugar-coated tablets are coated with a coloured or an uncoloured sugar layer. The coating is water soluble and quickly dissolves after swallowing. The sugar-coating protects the encapsulated drug from the environment and provides a barrier to objectionable tablet taste or odour. Film-coated tablets are compressed tablets coated with a thin layer of a polymer that forms a skin-like film. This is usually coloured and has the advantage over sugar coatings that it is more durable, less bulky, and works faster at the desired location in the gastrointestinal tract. Enteric-coated tablets have delayed release properties. They are designed to pass unchanged through the stomach to the intestines, where the tablets disintegrate and allow the drug to dissolve and start its effect. Enteric coatings are used when the drug substance itself would be destroyed by gastric acid or is irritating to the gastric mucosa. Aspirin is one of the most used drugs in the world – approximately 35,000 metric tonnes are produced annually, enough to make over 100 billion aspirin tablets. Americans consume 80% of the world`s supply of painkillers — more than 110 tons of pure, addictive opiates every year. How can accurate measurements help? Environmental control is the practice of managing the temperature, humidity, air circulation, ventilation and air pressure of a given space. Within certain types of pharmaceutical manufacturing processes, precise environmental control can help limit inefficiencies and potential problems. Pharmaceutical tablet coating is one such application. Inefficiencies during the coating process may result in contamination and tablet impurity in the form of tablet-to-tablet colour variation, surface pitting from over-wetting, twinning due to spray drying, cracking or peeling. Most of these problems can be overcome by better control of the environment within the process. Over-wetting, for example, occurs when the coating hits the still wet tablet surface and the surrounding air does not dry it quickly enough. 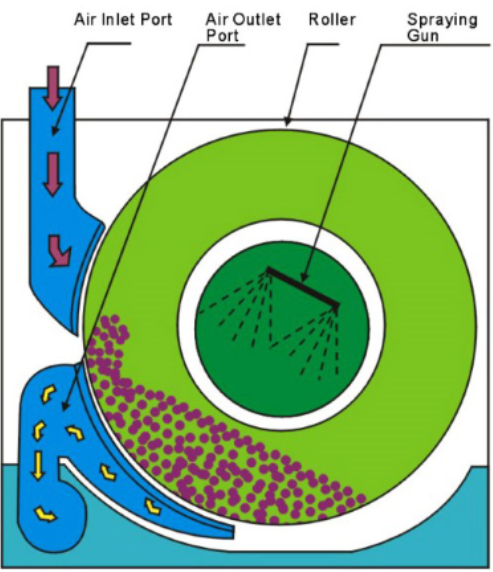 Another example involves spray drying, when the coating hits the tablet surface after the moisture has been removed resulting in poor adhesion of the coating. In the case of incorrect cooling and drying of the sugar solution, a rough, translucent and uneven coating may be produced. Since the required environment for a perfect coating strongly depends on the composition of the tablets, many pharmaceutical manufacturers have scientists who perform experiments to determine the ideal coating procedure including temperature and humidity levels. Once these specific requirements are determined, the set-points can be configured at the controller to enable the precision tablet-coating machines to work at optimal performance. A spoonful of perfectly coated tablets! The text below is taken from a Rotronic White Paper available here in full. Companies across many industries needing to perform regular monitoring and calibration have never faced a more challenging environment. Stricter compliance requirements mean companies are under greater pressure to deliver accurate and reliable data, whilst internal budget restrictions demand the most cost effective and efficient solutions. Can modern measurement & calibration techniques help your business operations? It is well known that accurate measurements reduce energy use and improve product consistency. Instrument users, calibration laboratories and manufacturers are constantly looking for smarter ways of operating and are responding with innovations that are transforming the measurement and calibration industry. Industrial environments are now more automated and interconnected than ever before and companies need to ensure that their infrastructure and processes have the ability to respond and adapt to industry changes. With the introduction of newer, more complex instrumentation, organisations can often be slow to recognise the additional business benefits that can be achieved by replacing a traditional method that (offers a short term result) with a more modern method (that delivers a longer term sustainable solution). Implementing a new approach can also help re-position the calibration process from being viewed simply as a cost to business to one that helps deliver improved process and energy efficiencies with a return on investment. Historically, in-situ calibration has been the standard approach; however, advances in technology means that there is now a viable alternative whilst still maintaining the growing demand for on-site services. With the market moving away from analogue to digital signal processing, interchangeable digital sensors are proving to be a more practical solution for both large and small organisations alike. As businesses look for greater automation and productivity, modern interchangeable digital sensors are allowing calibration to be achieved much more quickly without the costly implications of operational downtime and on-site maintenance. In unsettled economic times it can be tempting to simply extend the intervals between calibration cycles or to forgo calibration altogether. However, neglecting system maintenance and calibration will result in reduced performance and a loss of measurement confidence, ultimately leading to a failure to meet compliance standards. Measurement drift over time negatively impacts on processes and quality. Regular, accredited calibration demonstrates compliance, but equally importantly, sends a message to customers that quality is taken seriously and that they can be confident in both the process and the final product. Until recently most humidity calibrations were performed on-site in-situ. Larger organisations with multiple instruments generally found it more convenient to have their own in-house calibration instruments with dedicated technicians working on-site. Smaller organisations unwilling or unable to invest in on-site calibration equipment had the option to engage the services of a commercial calibration provider. In most cases, trained instrument technicians are required for in-situ calibration work; the equipment is brought to the probes and generally only one probe can be calibrated at a time. One of the main disadvantages of this process is the impact that it has on production downtime, as typically a salt or chamber based calibration can take more than three hours. Moreover, as the processes or control systems are interrupted during calibration, the actual conditions can be unknown. Companies keen to avoid the impacts of in-situ calibration and/or operational downtime caused by the replacement of failed hard wired instruments are opting instead for the flexibility and convenience of interchangeable sensors and modern portable calibration generators. Instead of bringing in equipment to calibrate in-situ, the technician brings pre-calibrated probes directly from the laboratory (on-site or external). Using interchangeable digital sensors, the pre-calibrated probes can be exchanged with the in-situ probes in seconds (known as hot swaps), saving time and avoiding operational disruption. If a wider system loop calibration is required, digital simulators are applied and provide any fixed values exactly and instantly. The old probes are then taken back to a calibration laboratory and calibrated accordingly. This adds the benefit that an external accredited laboratory can be used without issue. By ensuring that all calibrations are performed within dedicated laboratories as opposed to ad-hoc locations, better procedures and instrumentation can be utilised. In addition, time pressures are usually reduced as processes and monitoring systems are unaffected during calibration. 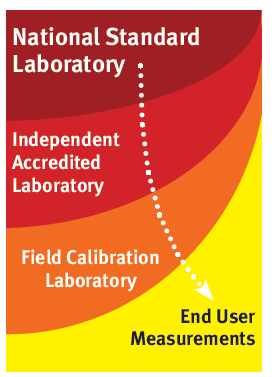 As such calibrations are typically performed to a higher standard leading to lower associated measurement uncertainty (every calibration will have an uncertainty associated with it – whether it is defined or not). Overall in most circumstances these methods deliver greater reliability, improved traceability and importantly, reduces on-site workload and limits operational downtime. CASE STUDY – Meeting the demands at the National Physical Laboratory, London. When the National Physical Laboratory (NPL) in London needed to replace their entire building management system (BMS), they turned to Rotronic Instruments (UK) for an integrated solution to the sensors and calibration. 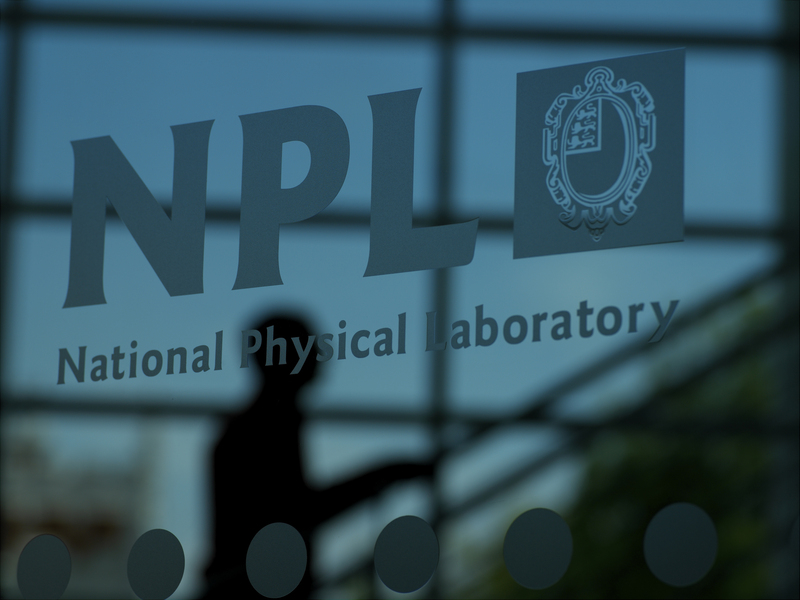 The NPL was looking for both a complete range of temperature and humidity sensors and instrumentation, and the fulfilment of the calibration and commissioning needs of these instruments. Working closely with the project stakeholders, the Rotronic Instruments (UK) team developed a tailored solution, matching the instruments and service to the project requirements. The decision by the NPL to replace the BMS was brought about by the need for tighter control, greater reliability and easier calibration. 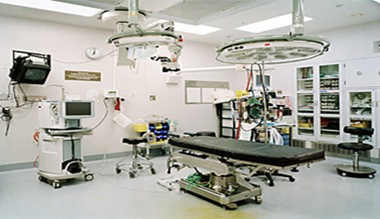 One of the key elements in achieving these objectives was the use of interchangeable probes. This immediately limited time-consuming and disruptive on-site sensor calibration to a minimum. Every probe’s digital output was calibrated in Rotronic Instruments’ (UK) UKAS accredited laboratory, and each transmitter’s analogue output was calibrated using a simulated digital input. To resolve any measurement errors in-situ between the calibrated sensors and uncalibrated BMS, each installed high accuracy instrument was loop calibrated and adjusted. Typical installations errors corrected for to date on the brand new BMS are ±0.5 %rh and ±0.25°C; a significant result for labs requiring tolerances of better than 1 %rh and 0.1°C. Whilst the use of high performance instruments was essential, not every sensor location or application could justify this approach. However, mindful of the NPL’s long term objectives, even the lowest specification thermistor products were customised to provide long-term performance and low drift. Additionally, a robust commissioning procedure and training for key personnel was developed to enable ongoing commitment to delivering quality measurements. Finally, it was effective communication and regular on-site interaction with all the stakeholders that helped deliver a successful outcome to this substantial project. All companies that need to perform regular monitoring and instrument calibration should be constantly reviewing their processes and questioning whether their operations and procedures are delivering the maximum return for their business. As increased regulatory compliance and demands for improved energy efficiencies continue to grow, traditional processes may no longer offer the optimum solution. An organisational mindset change may be needed to move calibration from being seen as a fixed cost to a process that can help deliver business objectives through ongoing cost and energy efficiencies. With the advent of calibration methods that can significantly reduce in-situ disruption, downtime is minimised, labour costs are reduced and productivity improved. Using interchangeable digital systems increases the accuracy and traceability of calibrations, resulting in higher quality product. Choosing the right calibration methodology may require new thinking and a different approach, but those companies that get it right will end up with a modern, flexible system that both achieves compliance and delivers long term cost and energy efficiencies to their business. For more information on the NPL case study or how your business can develop innovative and efficient monitoring solutions please contact us. Relative Humidity (RH)/%rh In the laboratory RH is derived from vapour pressure formulations. Improvements in dew point and temperature in air CMCs therefore affect the RH CMCs profoundly. The improvement lies in the range 0 to 70 °C; in the worst case RH CMC is ±1.0 %rh. In all parts of the HC2-S specified range covered by the accreditation the CMC is better than the specification of the probe. This is the first time this has been achieved. With the new temperature in air calibration range (-60 °C to +150 °C) and new dew/frost point calibration range (-60 °Cdp and up to +70 °Cdp) the laboratory’s RH calibration range has been extended up to 70 °C and 98 %rh. For example, at the new upper limit of 70 °C/98 %rh the CMC is ±0.6%rh and with these levels of calibration measurement uncertainty and range of accredited calibration services the purpose-built laboratory is one of the most advanced commercial facilities in the world.